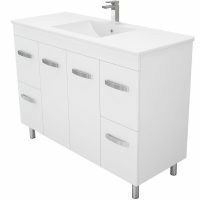 The Joanne Ensuite Vanity Unit is an affordable and compact bathroom vanity that is ideal for ensuite and small-sized bathrooms. 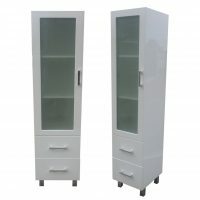 It features a modern design and comes in an attractive white-gloss finish. 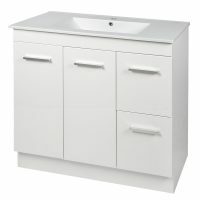 The Joanne Ensuite Vanity Unit measures 450x250x565mm in dimensions and is suitable for use as a wall-hung vanity. 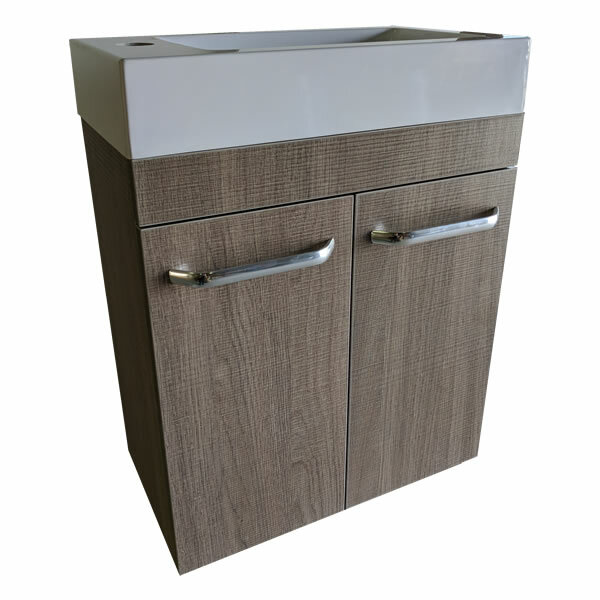 It is available in white, woodgrain and grey finish options. You will enjoy the best in functionality with this stylish vanity. 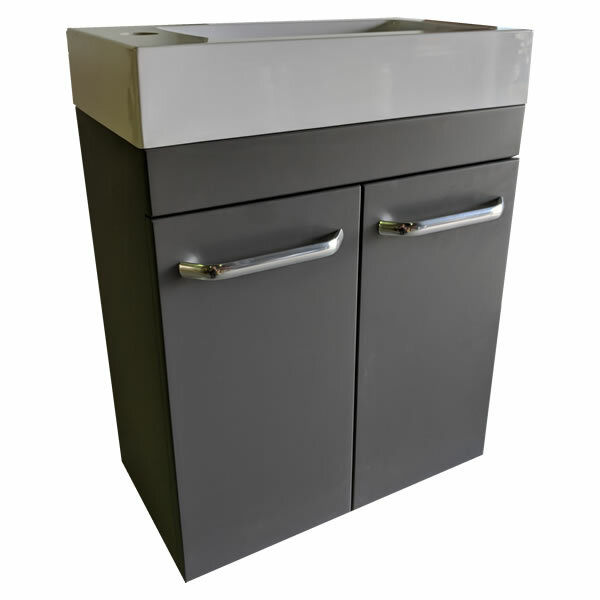 It comprises an artificial marble top and a reversible basin and features two large cabinets with soft closing doors and a slimline handle. This vanity comes equipped with a solid 16mm backing board and is designed for easy wall fixing. The Joanne Ensuite Vanity Unit is a superior product that exhibits high-quality manufacturing. It is incredibly durable and is built to withstand the test of time. As a mark of quality, it is backed by a 5-year warranty. Give your bathroom a functional makeover with the Joanne Ensuite Vanity Unit at Ross’s Discount Home Centre. 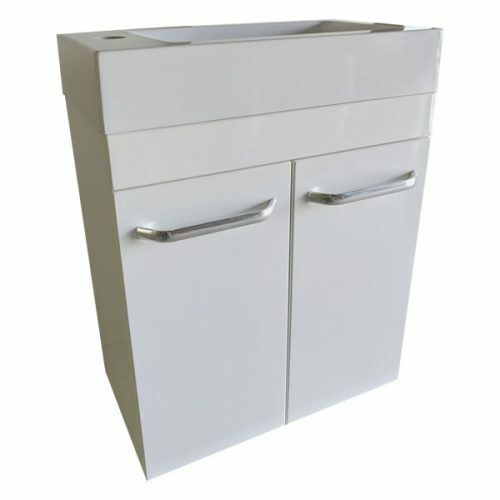 Shop from our online store to purchase this vanity unit at the lowest price in Perth today!